Two years ago, I published my first book, Love Fraud—How marriage to a sociopath fulfilled my spiritual plan. I am very excited to announce that Love Fraud is now available in all e-book formats. 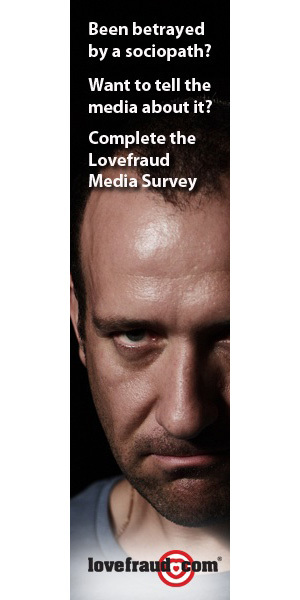 Whether you read on an Amazon Kindle or an iPhone, Love Fraud is now formatted for your device. With free e-reader software, you can also download the book and read it on your computer. 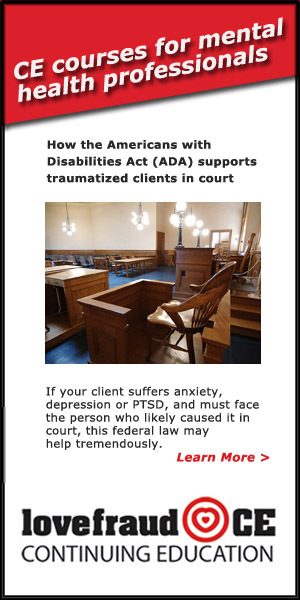 When sociopaths have problems in their lives, it’s never their own fault. 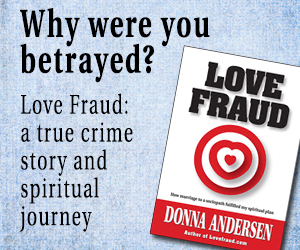 Donna Andersen explains why this is one of the most important Red Flags of Lovefraud. 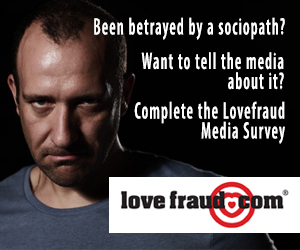 To watch the entire Lovefraud Lessons series, go the the Lovefraud Videos page. 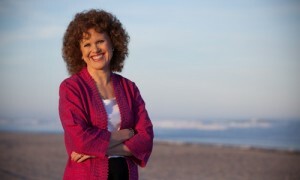 A Lovefraud reader found the recent article about me and my new book, Red Flags of Love Fraud, in a Michigan newspaper. 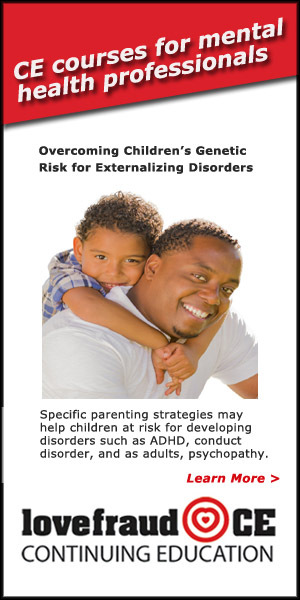 This was a surprise to me, because the article was originally published by a New Jersey newspaper, the Camden Courier Post. It turns out that the story was picked up around the country, which is good—it means word about these disordered individuals is getting out. 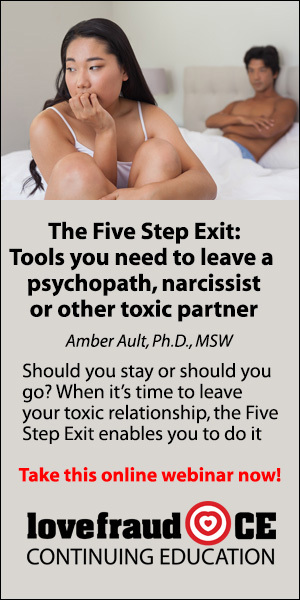 The Camden Courier-Post, located in Cherry Hill, New Jersey, just published an article entitled, How to tell if you’re dating a sociopath and other tips for singles. 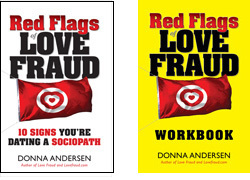 Both the online and print versions feature really big photos of my book, Red Flags of Love Fraud. 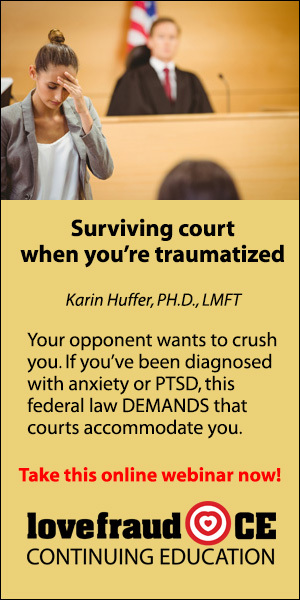 The article also includes tips from the Israeli self-defense system. 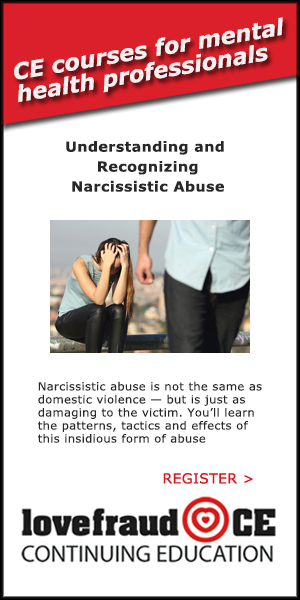 So, if you miss the signs you’re dating a sociopath early on, perhaps it’s good to know how to react to physical violence. 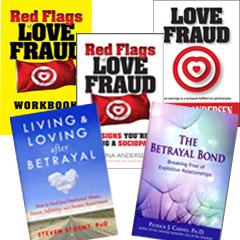 Launch today: Red Flags of Love Fraud, plus Workbook, plus e-book! 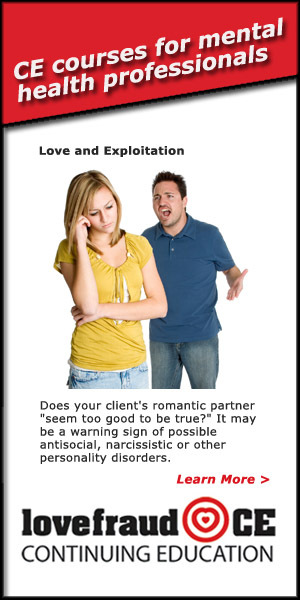 Today, my new book, Red Flags of Love Fraud 10 signs you’re dating a sociopath, becomes available on Amazon.com and through all other distribution channels. 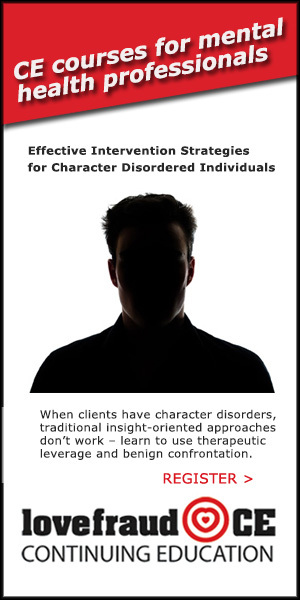 This book reveals, for the first time, the tactics of social predators who pursue romantic relationships not for love, but for exploitation. 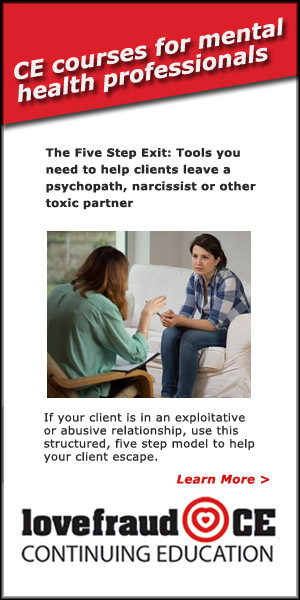 It explains how sociopaths seduce their targets, why it’s hard to escape the relationships, and how people can protect themselves.